…thanks to the failure of a common-sense bill by Sen. Conrad Appel in the Senate Health and Welfare Committee yesterday. SB 357 would have given the elderly a choice to either go into a nursing home or receive care at home – something the AARP says it has multiple surveys indicating most of them would prefer. Appel estimates the savings to the state could be as much as $100 million per year. But naturally, when the bill hit Health and Welfare yesterday, it brought out all the usual suspects in the nursing home business to howl and scream about how horrible it would be if seniors had a choice not to go into a nursing home. In the most recent battle to change the way Louisiana cares for its elderly, nursing home owners were pitted against advocacy groups like the AARP, asking the state to increase opportunities for senior citizens to receive care in their own homes. On Tuesday, the nursing homes won. With a 6-2 vote, the Senate Health and Welfare committee rejected legislation aimed at giving more people access to home-health services, in lieu of being sent to a nursing home to live. The Louisiana Nursing Home Association, representing 250 nursing homes in the state, spoke against the measure, saying it would result in a reduction in the quality of care. Appel is fairly passionate about the issue, noting that nursing home costs are skyrocketing in the state’s Medicaid program and in fact elderly Medicaid patients make up most of the cost of the program – with nursing homes catching a massive chunk – over $1 billion – of that spending. Finding ways to shave those costs down without abusing the patients is a win for everybody. Everybody but the nursing home operators, that is. Louisiana’s nursing homes are among the worst in the nation, according to national rankings. Louisiana also spends less on home- and community-based services than most other states. At the same time, nursing homes have unique financial protections that ensure regular rate increases, while other Medicaid providers have been cut year after year. The Senate hearing was packed with nursing home leaders, including several former lawmakers who have ties to the industry or were major beneficiaries of nursing home campaign donations, like former Speaker of the House Jim Tucker, former state Rep. Sherri Buffington — who often carried legislation on behalf of nursing homes — and former state Sen. Joe McPherson, who previously chaired the Senate Health and Welfare Committee. Rep. Bob Hensgens, R-Abbeville, who is a nursing home administrator, also sat in on the hearing, watching from the back of the room. The average state ratio of spending on nursing homes to waiver programs is 60:40, while in Louisiana it’s 77:23. The rate of inflation in the past decade has increased 18 percent, but the state’s nursing homes have seen their rates rise 54 percent despite an almost-unchanged occupancy rate. The industry by law can enjoy a profit margin of over 18 percent, thanks to a low-cost environment partially enabled by state law. Yet instead of plowing these funds back into care, Louisiana’s nursing homes ranks consistently close or at the bottom of quality among the states. 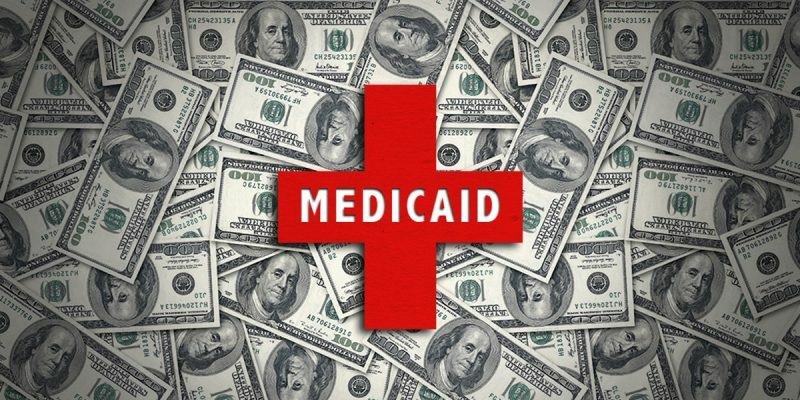 Proponents of the bill said it would be at a minimum revenue neutral but most likely generate savings for the state over the next few years, in large part because the state charges managed care companies a 5.5 percent tax that could generate about $100 million a year. State Sen. Jay Luneau, D-Alexandria, was incredulous about the claim. He said if the goal is to give home- and community-based services to thousands of people on the waiting list, then the state would have to incur additional costs to serve a new population. He said he’d prefer to improve access to home- and community-based services with more direct funding. Luneau also said he was concerned about diminishing care for the elderly. He noted that people in nursing homes are within walking distance of people who can assist them 24 hours a day. But with home-health providers, they would only receive help a few hours a day. Luneau’s day job is that he’s a lawyer in Alexandria, but we’d be hard-pressed to recommend anybody hire him. He stinks at logical thinking if he really believes that giving the elderly a choice to stay home and access a home health provider for a few hours a day if they want to would somehow deprive them of care they need when they could also choose to go into a nursing home for full-time care under this bill. One size fits all, y’all. Because there are taxpayer dollars to shovel into the mouth of the beast, and the beast sure is hungry. But many legislators, whether like Republican state Rep. Bob Hensgens who works as a nursing home administrator, or like Democrat state Sen. Jay Luneau who takes substantial campaign funds from the industry (and former state Sen. Joe McPherson whom he essentially replaced, who then and now continues to shill for nursing home interests) won’t support these kinds of bills. In the committee hearings on the two bills both had the audacity to say they supported funneling more money to home- and community-based services without acknowledging or addressing the wasteful, inefficient spending favoring nursing homes. And both are hypocrites of the highest order. While Luneau prevents rebalancing of the state’s long-term care spending to make it more efficient, he rails against business tax exemptions he says are wasteful. Yet given direct evidence of such waste in spending on long-term care, he entirely loses his appetite for making government work smarter and would rather increase people’s taxes. Luneau also criticizes legislators who “never have solutions, only rhetoric,” saying “I think any legislator who thinks it’s so easy to cut state government should be man or woman enough to stand up and say this is what should be cut and why.” That some make the very suggestion and he dismisses it shows what an empty windbag he is, if not actually turning his own criticism against himself. And when Appel’s bill met a savage end in a 6-2 committee vote to kill it (the only two “yes” votes were Democrat Ed Price of Gonzales and Republican Dan Claitor of Baton Rouge, while Luneau, Gerald Boudreaux, D-Lafayette; Regina Barrow, D-Baton Rouge; Norby Chabert, R-Houma; Yvonne Colomb, D-Baton Rouge and Dale Erdey, R-Livingston voted to kill it), Rep. Tony Bacala (R-Prairieville), who is bringing the House version of the bill, realized the hopelessness of the task and will now shelve it. Sadow notes that Gov. John Bel Edwards could institute the policy change Appel is seeking via an executive order, which would be a very doable thing – Edwards could say “Hey, we have a budget deficit and this is one way I can shrink it without doing damage; people who want to opt out of costing the state money we’d otherwise spend on them can exercise that option now” and take the heat for it. But Edwards won’t, because Edwards’ political strategy is to placate and pander to as many special interests as he can in hopes of picking up campaign checks and votes for his re-election next year. He couldn’t care less about the elderly Medicaid patients who’d like to stay home and cost the state less money – he wants the nursing home checks. In this way, Edwards falls well short of his predecessor. Not to toot Bobby Jindal’s horn too loudly, but when it became obvious based on changes in federal policy that Louisiana’s Charity Hospital system was a dinosaur that was about to become prohibitively expensive, he took it on himself to cut deals with private operators and unloaded most of the hospitals from Louisiana’s balance sheet. It wasn’t a perfect solution and it was expensive in terms of political capital, especially when nobody else was willing to back him on the decision (they didn’t have to; there was no bill at the legislature that commanded his move), but something needed to be done and Jindal did it. Had he not, Louisiana would be several hundred million dollars more in the red by now. Appel said he was disappointed by the failure of his bill, but he thinks his peers are delaying an inevitability. Well, the elderly don’t have a choice now. You’re on Medicaid, they ship you off to a nursing home when you need care. Apparently we don’t do choice here – we just waste money on Soviet-style command economics everywhere we can, regardless of how much money we throw at bad products.